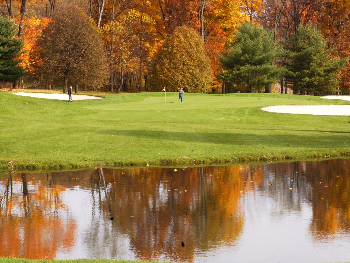 Sinking Valley Country Club was founded in 1963 and features 18 championship holes nestled among stands of mature hardwood in a peaceful mountain setting. A round of golf here could be confused with a stroll through a nature preserve. Bent grass greens that are smooth and true are paired with plush fairways making golf at Sinking Valley a serious business. Altoona golf at its finest! In addition, Sinking Valley offers a fully stocked pro shop, a bent grass putting green and a complete practice facility with areas for chipping pitching and a complete bunker to hone your sand game.